These have been very well received and we have added new dates for 2017. 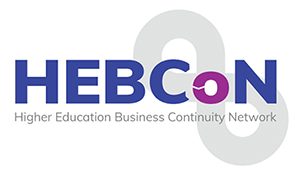 The course is designed for staff members in Higher Education Institutions (HEIs) who have recently taken on business continuity management (BCM) responsibilities as part of their job role and have not yet received any formal training. It may also be of value to members who need to refresh their knowledge of the basics of BCM; but it is not suitable for people who have significant prior BCM experience and are seeking more advanced training. Assist more experienced practitioners in the development and maintenance of BCM plans. Given its introductory nature, much of the course is delivered in the form of presentations; but there are a number of team-based exercises throughout the day to reinforce learning. This is an introductory course: there are no pre-course requirements. On completion of the course delegates will be ready to assist more experienced professionals in routine aspects of BCM.